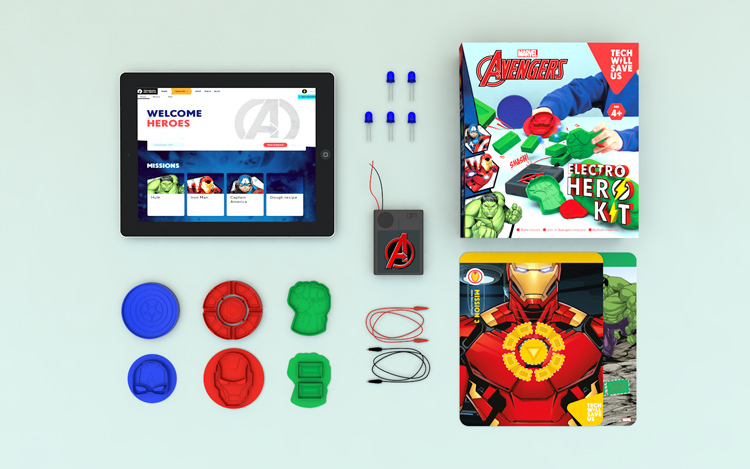 Technology Will Save Us, the studio behind many kids’ games that educate through play, has brought out a new interactive kit with Marvel Comics that aims to inspire children to learn about basic science. 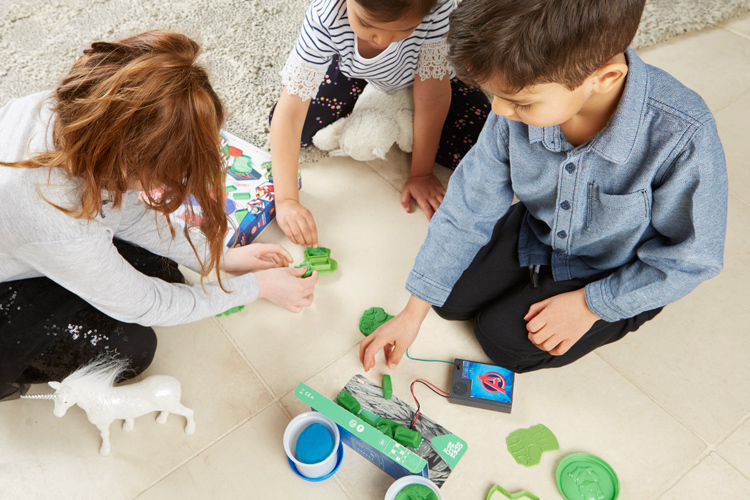 Tech Will Save Us has partnered with Marvel Comics to launch a new kit that teaches kids how to craft models and create electrical circuits, while “saving the world” with superheroes. The Electro Hero Kit is the tech company’s first product launch of a new partnership with global entertainment company Disney, which will see more interactive toys released in the next few years. 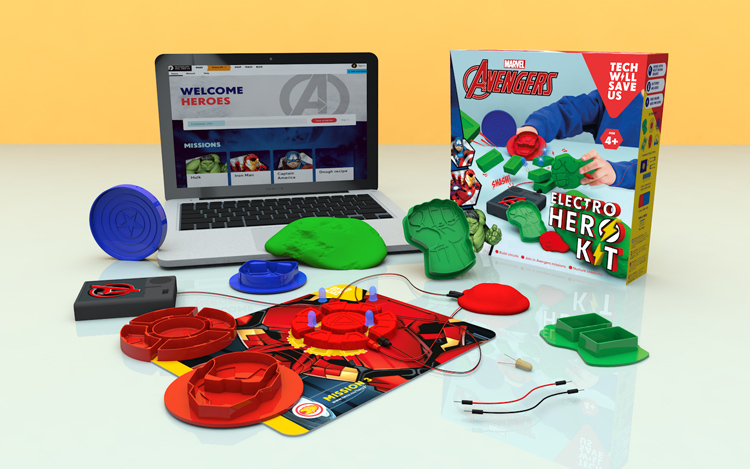 The new set enables kids to play with Avengers superhero characters such as Hulk, Iron Man and Captain America, and “complete missions” using conductive dough. The kit comes with an online manual, where children can access “missions” online – in other words, tasks alongside interactive instructions on how to complete them, such as how to “smash walls” with Hulk’s fist. 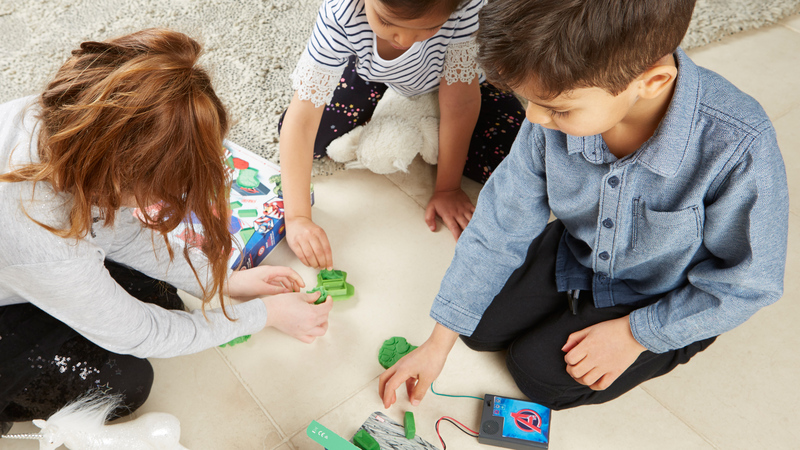 Kids then use the physical elements of the kit, which include LED lights, superhero-shaped dough cutters, electric conductive dough, wires, a battery pack and themed backdrop mats, to build scenarios and create electric circuits. These circuits link up to LEDs and switches to create light and sound, resulting in interactive scenarios. For example, the Hulk “mission” enables users to create a fist and a wall out of dough, then “smash” the fist into the wall, making a circuit and causing a crashing sound. The game aims to teach children about how electrical circuits are made, their effects and what materials are conductive. The different “missions” get increasingly trickier as they go on. 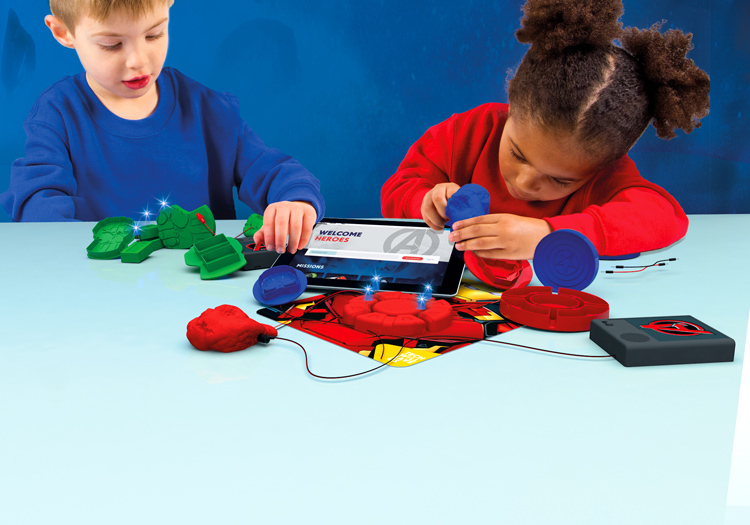 The colourful, conductive dough comes in red, blue and green. 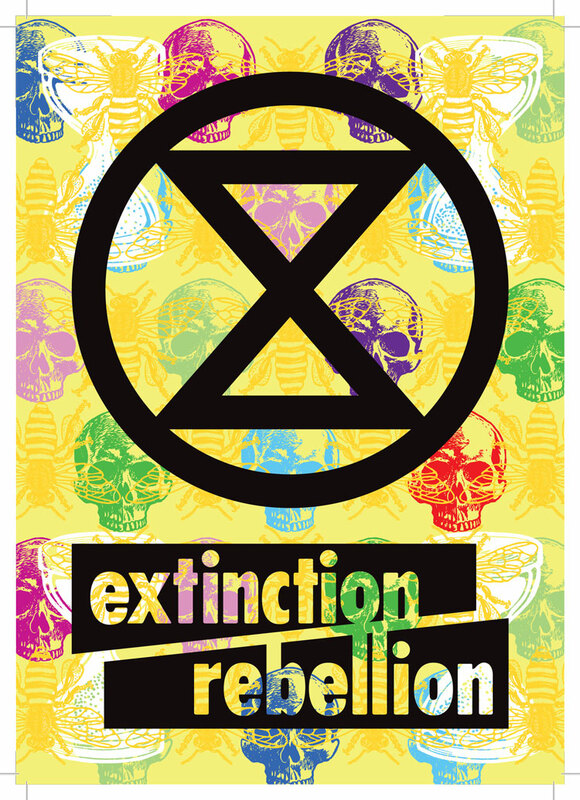 The kit aims to inspire children to learn about science and craft, engaging them through popular characters. 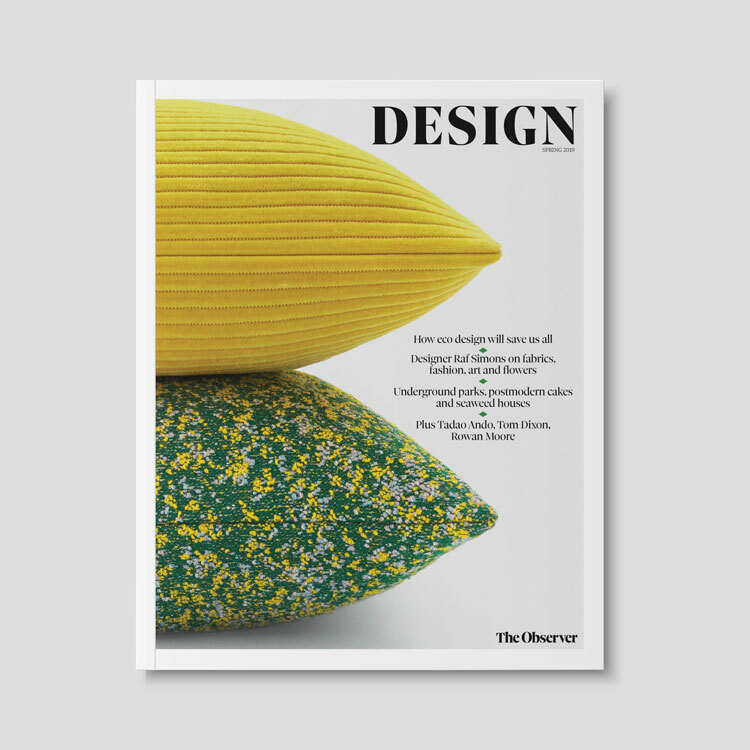 Sadhbh Doherty, product design lead at Tech Will Save Us, previously told Design Week about the importance of learning through doing. 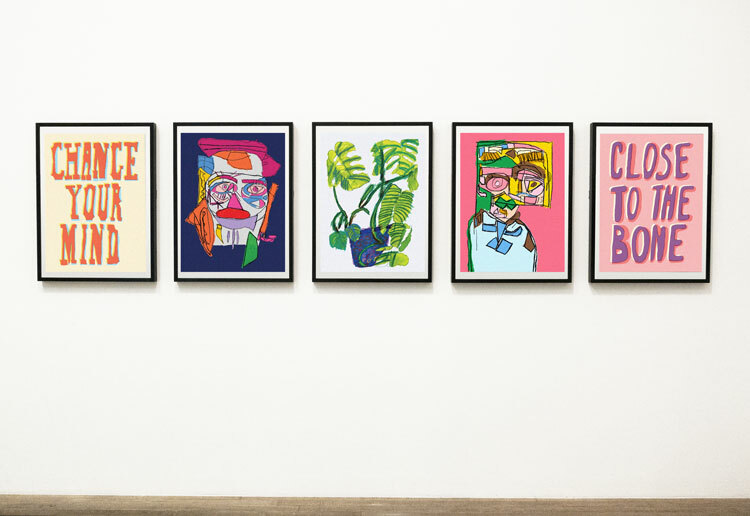 “What I would love is for everyone to be able to understand what they’re doing and why,” she said. 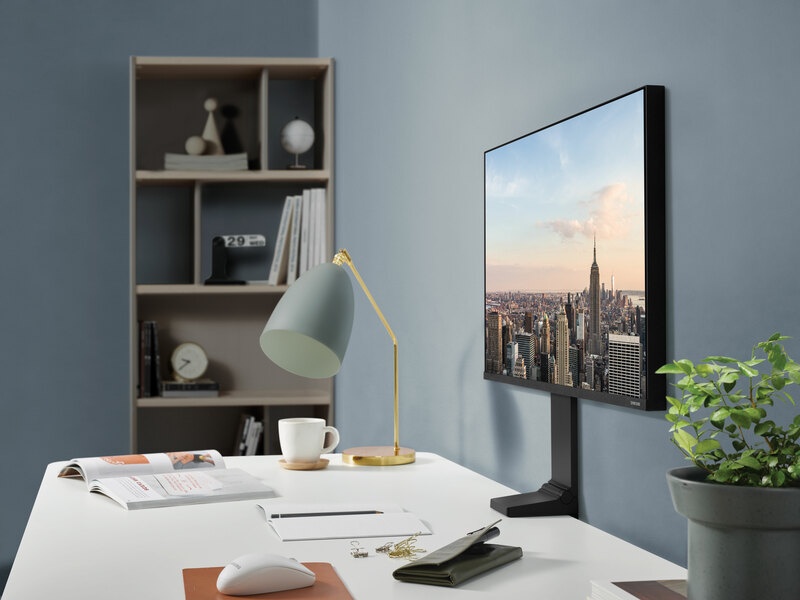 “We’re in a world surrounded by screens and tablets, and [I would love people to] understand that there’s electricity flowing through and it’s not this magic thing that’s happening behind a screen. 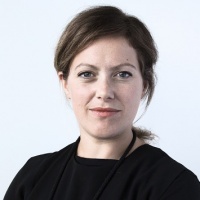 “It’s becoming more and more apparent that the world of work and what people are doing is changing all the time – [we’re all frightened of those] scary AI (artificial intelligence) robots that are out there and are going to take our jobs. 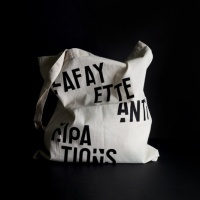 But what won’t go away is people’s ability to create and make,” she added. For more info on the Electro Hero Kit, head to the Tech Will Save Us website.